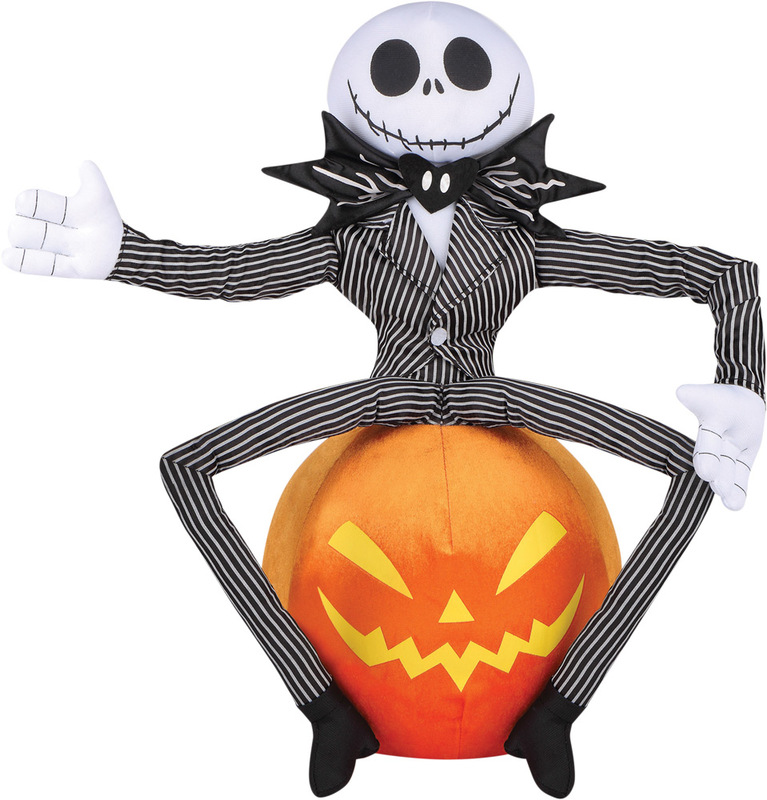 Your Halloween display will be so fun with this cool Jack Skellington sitting jauntily on a fun pumpkin! For indoor or covered porch use. Measures approximately 21 inches tall, 12.5 inches wide, and 17 inches deep. Made of Fabric,60%; Stone Powder,20%; Plastic,10%; and Styrofoam,10%.